We only ask that you honor our sovereignty. a future of peace and stability in the region, including peace between the Israelis and the Palestinians. 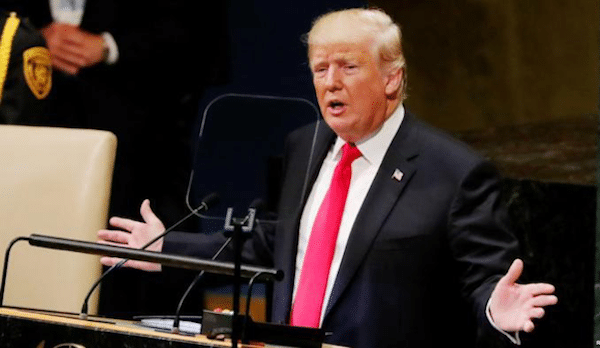 The U.S. president then ironically alleged that Iran “fueled and financed” the humanitarian crisis in Syria, before calling on “all nations to isolate Iran’s regime,” and announcing that further sanctions will be imposed. He also said that more than two million people have “fled the anguish inflicted by the socialist Maduro regime and its Cuban sponsors,” in what was his only direct reference to the island. Despite his alleged concern for such people, he noted that. Targeting Maduro’s inner circle and close advisors.